iCloud not Backing Up? How to Fix? Question: I forgot my iCloud password. How do I recover it? 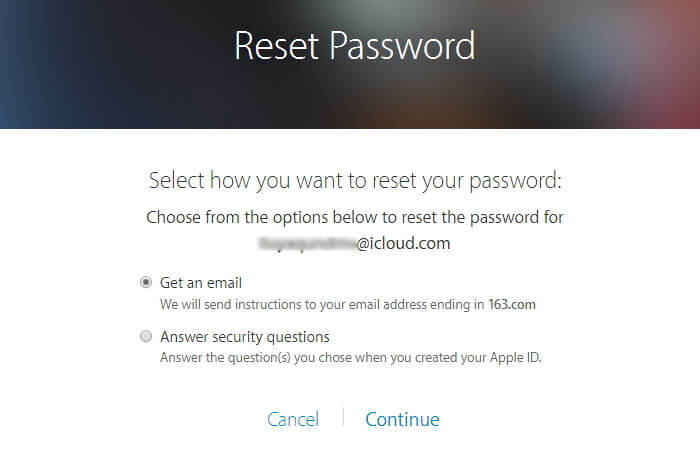 Forgetting your iCloud password (which is your Apple ID and password) means losing access to your your email, service provided by iCloud and downloading items from your Apple store. You can’t make updates on your iPhone or Mac without your iCloud password either. This password is the key to accessing most of the services on your Apple device. If you forget yours, it is important that you recover or change it right away. No matter you want to recover or change your password, there are a few methods that you can use to set things right. 1.Go to this page and enter your Apple ID and the code generated to show you’re not a bot, then click "Continue". 2. You will be given a "Select What Information You Want to Reset" Option. Choose "I need to reset my password". Then click "Continue". 3.You will be taken to the next page where you can choose if you want to "Get an email" or "Answer security questions" to reset your password. The best way would be using an email but if you are sure you remember the answers to the security questions then you can go with that option. With email verification, you will receive an email with information to help you reset your password. With security questions, you will be asked for information such as your date of birth and two previously set security questions. This will help them verify that you are the real owner of the account. 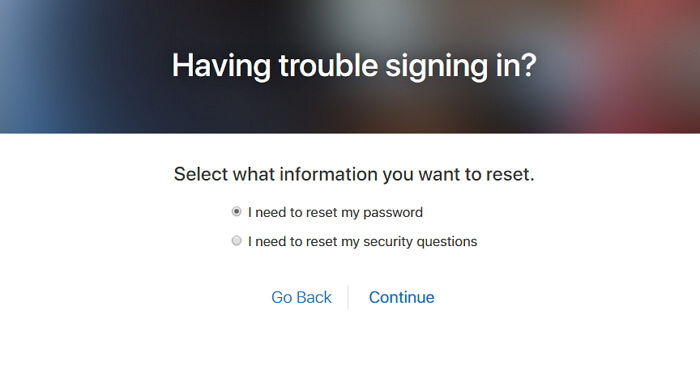 If you put in the right answers, you will be taken to the reset page and prompted to input a new password. 1. Go to this website and click on the "Forgot Apple ID or password" tab. 2. Ener the email address associated with your Apple account and the generated code to prove you are not a bot, then click "Continue". 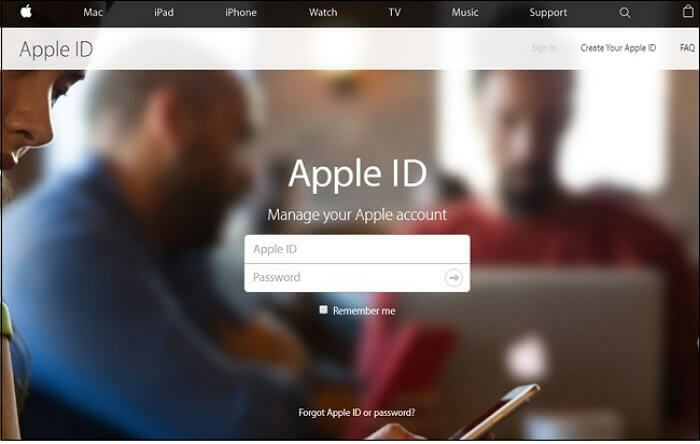 Depending on the type of security you previously chose for your Apple ID, the two-step verification or two-factor verification authentication methods could come up. In this case, you will be prompted with information on how to complete each verification step. More explanation on this can be found below, including guides through the steps. 3.If you didn’t set up any extra security measure, you will be required to choose between email verification and answering security questions. 4. 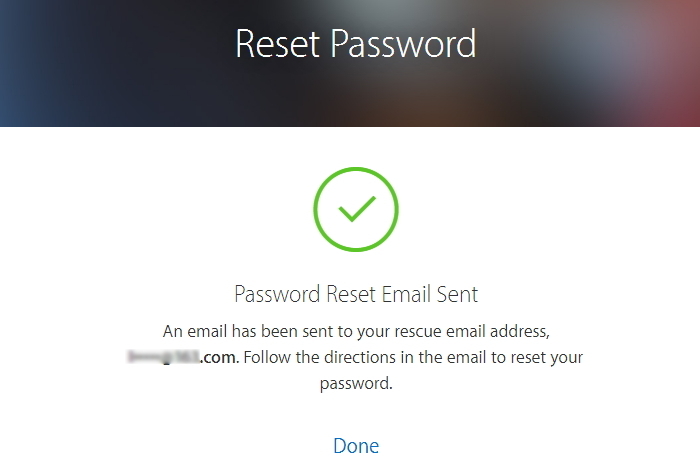 Choose "Get an email" , and then you will be prompted to put in your email address and an email will be sent to you immediately with instructions on how to complete the reset. If you set up a two-step verification, you will need to input the code Apple send to your iPhone or Mac along with your password. 1. Go here and click on Forgot Apple ID or password. 2. 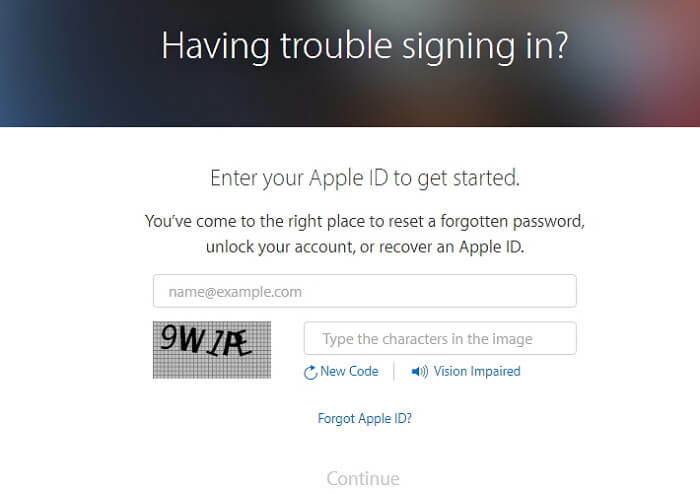 Enter the email address associated with your Apple ID and the generated code to prove you are not a bot. 3. You will be taken to a new page and requested to put in the phone number associated with your Apple ID. 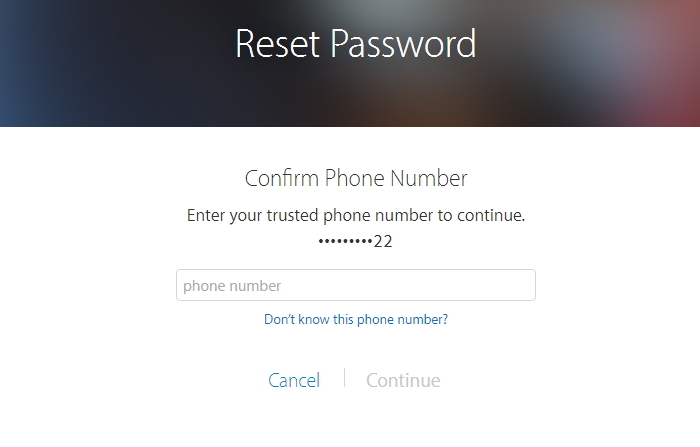 Then you can choose to make the reset using another device or your phone number. It is more advisable to use another device than a phone number. The process using a phone number will involve Account Recovery and this can take a few days to complete. 4. 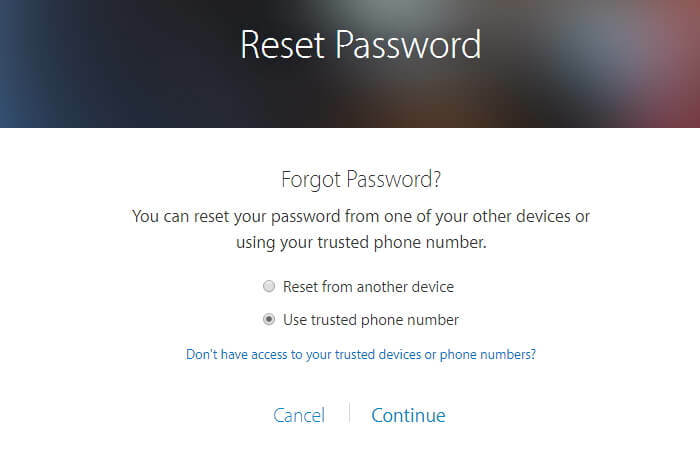 If you choose to reset using another device, you will receive an alert on the device along with a link, which will take you to the Reset Password page. If your device uses any iOS less than iOS 9, then you would have selected use the two-step verification system. During the set-up process, you were given a 14 character recovery key and advised to keep safe. If you don’t have this key anymore, there is no way to reset your password, not even through Apple. If you have this security measure on your account and you’ve lost the key, go to your Apple ID account, sign in with your password and email and select Replace Lost Key.